Steve was called into the starting side for the Australian Test Team for their third and final Test against the West Indies at the SCG. The decision came as Australia have decided to play two spinners for the first time on home soil in ten years – the last time was in 2006 against when Shane Warne and Stuart MacGill lined up alongside each other. Due to the heavy rain in Sydney all week the match unfortunately ended in a draw with Australia finishing the series with a 2-1 victory. 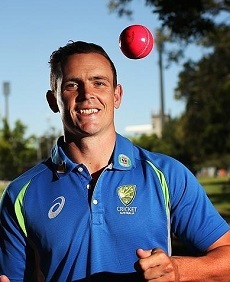 Steve was the stand out performer for Australia in the field – taking 3/63 to be Australia’s highest wicket-taker and most economic bowler for the match. Steve’s next goal is to make the Test squad for upcoming tour to Sri Lanka in July which includes 3 Test matches.